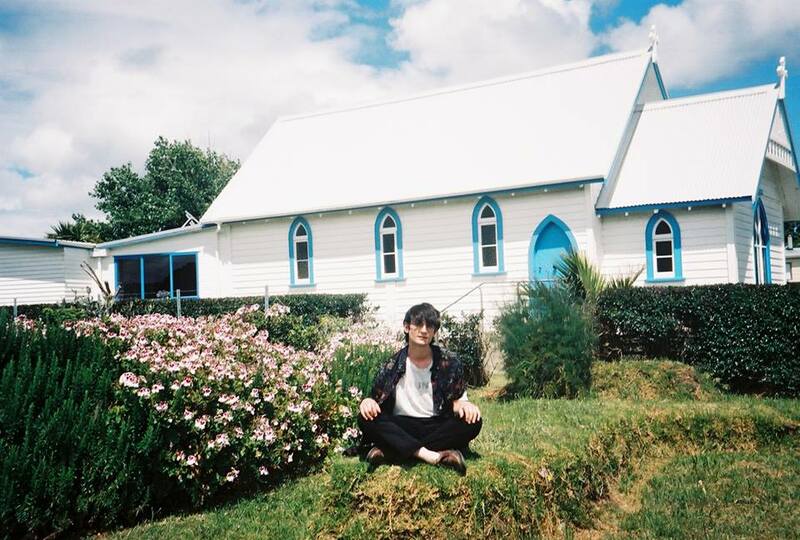 Kane Strang must have the weight of New Zealand music history on his shoulders. His hometown is Dunedin and, as you well know, there's a lot of Flying Nun Records history in that town. The best bands on that label came from there, or had connections to the place, and now Kane Strang's on that historic label too (at least in other parts of the world). But here in the USA, his new album, Blue Cheese, will be dropping on the equally wonderful Ba Da Bing Records. Now, despite that whole legacy I described above, Kane Strang's music, specifically the fresh Blue Cheese, is not necessarily all Chills and Clean riffs recycled for the kids today. Rather, on stuff like the hooky "What's Wrong?" the effect is closer to an old O.M.D. single before the band hit pay-dirt in John Hughes soundtrack land. Guitars carry the weight on most of this record but there's a certain electronic element in some spots -- maybe the way Kane's voice is centered in the tracks? -- that lends this whole album an air of electro-pop from the Eighties. Think Split Enz ("You Think") or even China Crisis (the propulsive "Things Are Never Simple"). Elsewhere, on the oddly insistent but cleverly-titled "Never Kissed a Blonde", Kane nearly hits at the same sort of quirky pop that Sparks tried their hands at in the Eighties. On the supremely catchy "Full Moon, Hungry Sun" the music chimes and swirls in the manner of recent bands like Gardens and Villa, or even MGMT. Like those other acts which seem to take their cues from old solo Brian Eno albums, there's a bit of backwards-looking here too but things never get too lost in the distant rock past. Like the best stuff from Stereolab, the music of Kane Strang has a decided retro vibe to it even as it remains largely fresh and current. Blue Cheese is full of hooks and cleverness. It's a smart record in that I'm still having a hard time thinking of exactly what this sounds like. I mean, I can name-check some worthy bands that apparently influenced Kane Strang but...there's also something undefinable here. There are certainly pieces that make me think of stuff from earlier eras but, remarkably, Kane Strang has produced something that sounds entirely unique. In this day and age, that's quite an accomplishment. Blue Cheese by Kane Strang will be out on Friday via Ba Da Bing Records. If you are outside the USA, you might be getting this one on Flying Nun. Follow Kane Strang via his official Facebook page.